As the mishandling of our visitors by the airlines industry worsens, an urgent Impact Study is needed as it relates to damage control. Baggage delays, baggage and ticket price gouging, over booking, flight cancellations and late departures are creating a negative impact on the visitor’s experience. We cannot allow the Spice Isle’s premier tourism product to continuously take this type of hit. Grenada invests heavily in keeping its side of the bargain with the respective airlines and deserves the same level of service given on the other leg of the trip back to North America. Based on the numerous complaints heard here and abroad, we need to demand better service. Imagine packing your bags with all you would need as you prepare to leave the comfort of your home to go abroad on vacation. 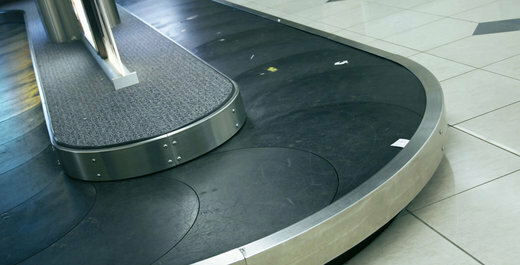 You place your most fragile and important items in your carry-on bag. As you get to the airport check-in counter all your expectations get turned upside down. The bags that you weighed at home repeatedly at forty-nine (49) pounds are now weighing fifty-six (56) pounds on the airline’s scale. You must now pay an overweight charge of U.S $75 per bag. Then, as if that’s not enough, you are asked to weigh your carry-on bag which is again overweight, resulting in an additional charge of U.S $150. All of a sudden you are now faced with a charge of U.S $300, and ordered to check-in your carry-on bag. Mind you, that is the bag in which you packed all your fragile and important items. Begrudgingly, you comply because you are determined not to allow this bad experience to spoil your vacation. Then you get to your destination (Grenada) and after standing around the baggage carousel in great anticipation for an hour, you find that none of your bags arrived with your flight. You may be thinking: “What a nightmare of an experience.” Then after standing in the service line for another hour, you are told by the agent to check back with the airlines in the next few days for further information. Now do you get the picture? Baggage restrictions on international flights that land or originate in the U.S follow Transportation Security Administration (TSA) regulations and airline policy. Airline baggage handling procedures and regulations help to ensure that passengers’ baggage will accompany them on their flights and be at their destinations when they arrive. With over five thousand students bound for St. George’s University for the Fall semester (most first-term students are usually accompanied by their parents and other family members) and the thousands of die-hard returning nationals who come to the Spice Isle for their annual vacation, the airlines servicing Grenada have a captive market. And they employ a monopolistic business practice because of a lack of competition for service in this region. In accessing the weight and balance the Vector Method (American Aeronautics) is available for all aircraft. Yes, all aircraft! And in just a matter of seconds and without doing any math you can maximize your load without violating your center of gravity or weight limitations. Aircraft manufacturers publish weight and balance limits for their airplanes — so what’s the big deal? Because of the alleged weight and balance restrictions, passengers in route to Grenada check-in less pieces of baggage, less poundage per suitcase and are allowed less weight and size for carry-on luggage. They are also charged ridiculous overweight fees for baggage that would otherwise meet the weight standard on properly functioning scales. In spite of this major sacrifice, our loyal visitors and nationals returning home are still subjected to a baggage-left-behind dilemma that can last as long as ninety-six hours (four days). These people, especially those living in the country-side, make numerous fruitless trips to the airport with the hope that the next scheduled flight would carry their luggage. Some have to make do with the clothing that’s on their body. Not every passenger visiting our destination during the Carnival season comes here for the celebrations. For instance, this year there was a bride’s wedding dress that never made it to the wedding because the person carrying the dress was kicked off an over booked flight. There was another incident where a highly skilled technician who was urgently recruited from abroad by an essential services establishment, had to wait several days for his equipment to arrive as baggage. There were passengers, in transit, who had to sleep on airport floors because of overbooked flights. The Osprey Lines had to constantly mitigate the problems with the connecting trip to Carriacou because of the frequency in delayed flights. Is this inconvenience necessary? Is this acceptable? Is this the best service possible to passengers who pay arguably the highest fare in the region? The ticket price, depending on when you book, ranges ridiculously from US $700 to US $1,600. Whenever there is an over booked flight, the high-end passenger gets the seat over the low-end passenger. Can we, in a highly competitive tourism market, allow this type of disrespectful and discriminatory practice to continue while more and more disgruntled tourists vow never to repeat the bad experience by coming to this destination again? We must be mindful that the bad experience in travel and accommodation often overrides the good times these visitors have in the Spice Isle. We must stop the airlines from mishandling our visitors and nationals – our most precious cargo.